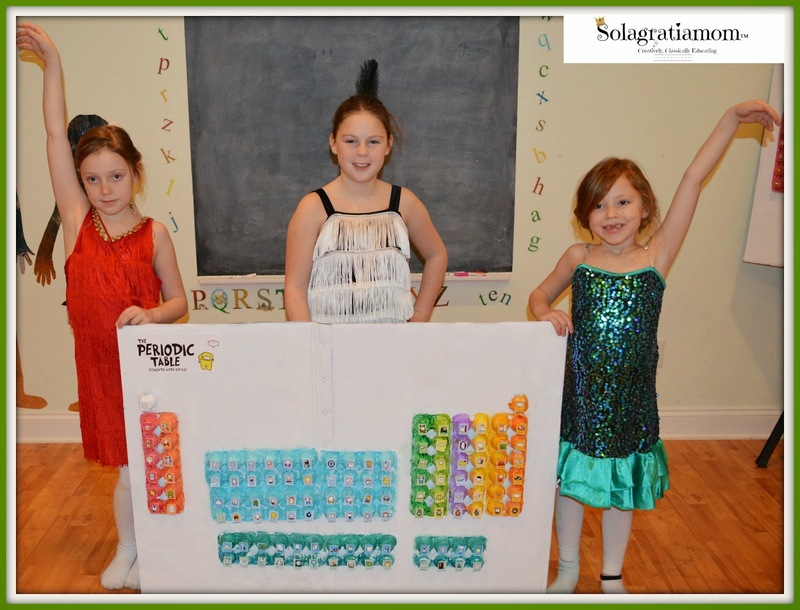 Solagratiamom: DIY Giant Periodic Table of Elements - Completed! 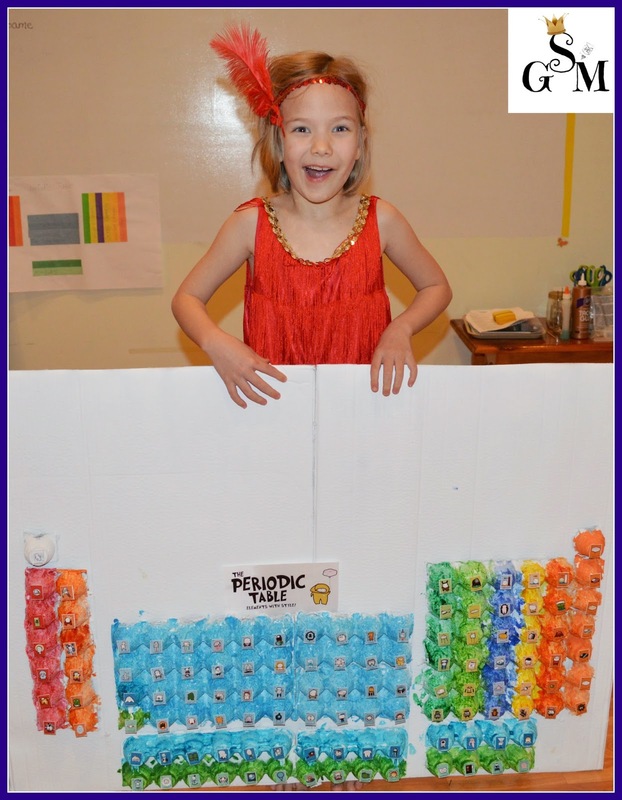 DIY Giant Periodic Table of Elements - Completed! This project came out so good. 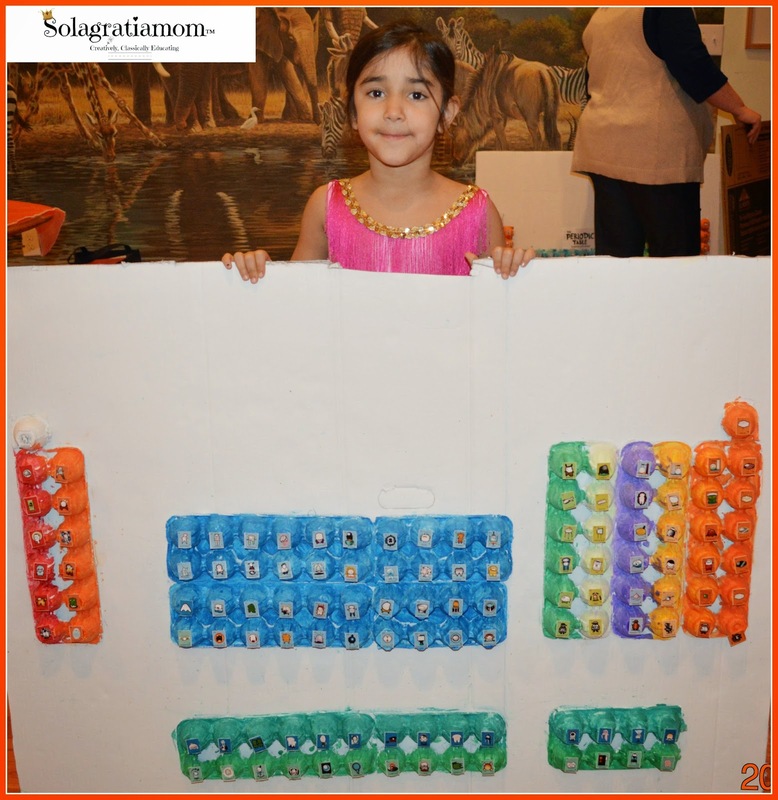 It is amazing what you can do with some cardboard, used egg cartons, a little paint and a fun Basher book! It might be one of my favorite projects to date! 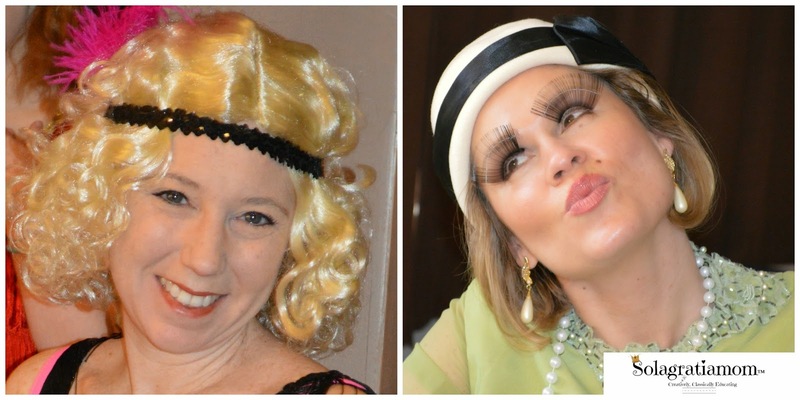 You won't want to miss the completion of this project, the roaring 20's fun and the funny surprise that awaited me and made this one of the most fun Wonderful Wednesdays, yet! So, on to our day...we started out reviewing all our week's memory work together. 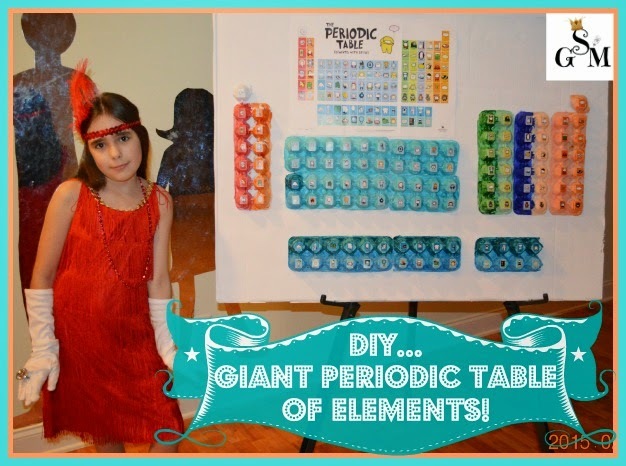 The big finale with our Periodic Table of Elements Board was here! 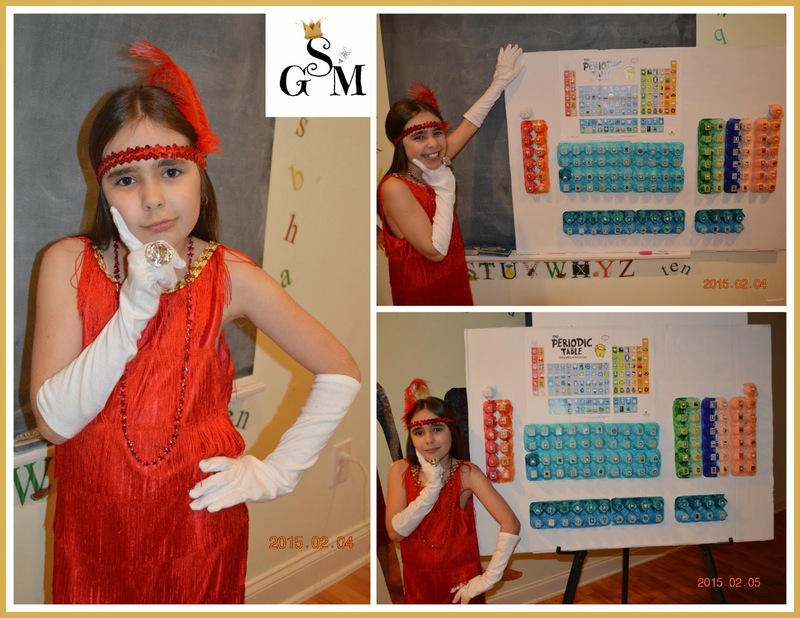 I took The Periodic Table: Elements with Style! (affiliate link) book from Basher, that each person in the Wonderful Wednesday group had purchased (it's inexpensive at $6 and well worth it), and using their PTE table from the book's provided poster, I had my local office supply store scan and copy the chart onto 11"x17" card stock paper. This way we could each use the provided Basher PTE table poster from our books as our "key", and then we cut up the card stock copy of the PTE table and individually glued them onto our egg cartons. We hot glued, mod podge'd and tacky glued (each person picked whatever way they wanted to glue theirs on). All those ways worked fine. 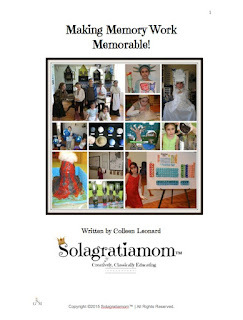 If you missed our previous two weeks for this project, then you can find those posts at exploring-elements-okeeffe-pizzas and painting-periodic-table-of-elements. The finished PTE boards below, and each family's board was beautiful and unique! The real fun was about to start! 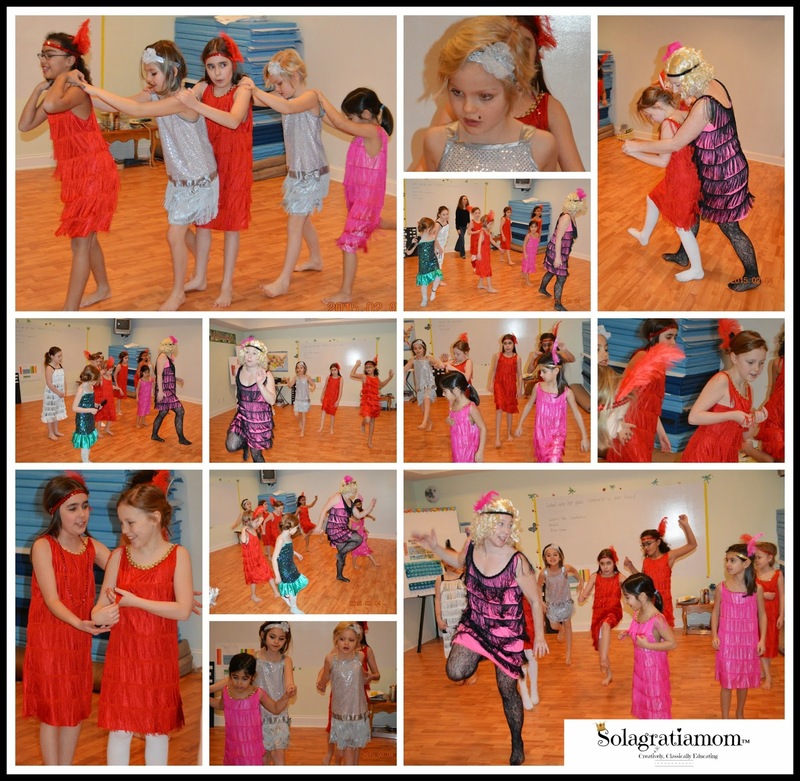 One of our talented Momma's knows dance and she taught the girls how to do the Charleston! 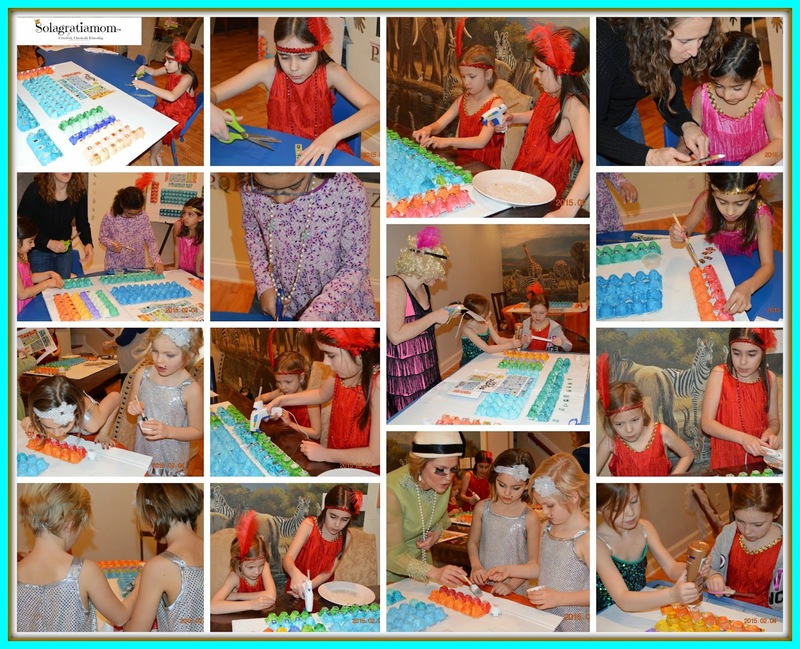 The girls had a blast with this! 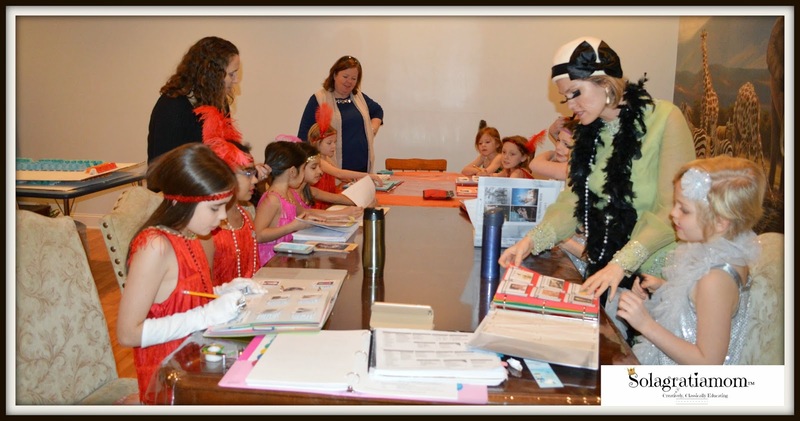 I think they especially enjoyed this dress up, because most of our history dress ups are male figures and this was a chance to be a girly girl! 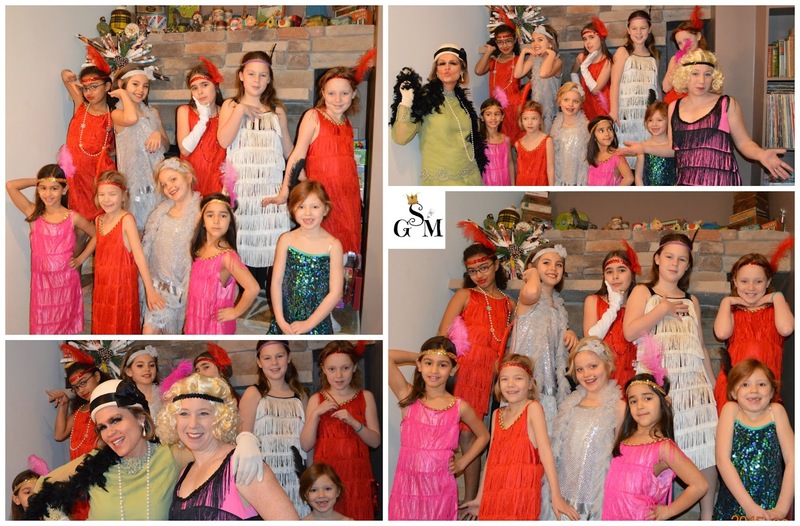 It was a perfect opportunity to bring the 20's to life through learning a dance from that era! God is so good to provide the talents we need each week for Wonderful Wednesday! Last but not least, was a jeopardy review game! LOVE this! We have the Basher flashcards, too-- great idea! That looks like a fun afternoon. I love the periodic table. I might have to start saving egg cartons.